If you are trading FOREX and making mediocre or average gains and want to improve your overall profitability, then this section is for you. The ways to improve profitability enclosed in this section are simple and they have worked for us and will work for you. 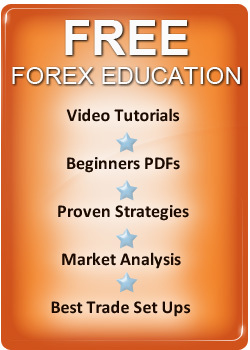 These are simple yet powerful tips any FOREX trader should consider. A good place to start is with a timeless classic investment book - the Zurich Axioms by Max Gunther it's a book any trader should read. The wisdom is simple, timeless, unconventional, funny, exciting, and is one of the most inspiring investment books ever written. The 12 major and 16 minor Zurich Axioms in the book are a set of principles, providing a philosophy, to incorporate in your FOREX trading strategy to help you manage risk and increase profitability. Several of the Axioms fly right in the face of accepted investment wisdom - however the Swiss investors who wrote them became very rich, while most investors who follow conventional wisdom do not and keep in mind 90% of speculators lose so being in the minority is not such a bad thing! Diversify your investments is accepted as a way to make money longer term and reduce risk - but all it does is dilute your potential profit and in many instances increase your chances of losing. You will read a lot about risking 2% per trade and spreading your trades - but if you are like most FOREX traders and trading a small account of under $10,000 you won't make much risking $200.00! The Zurich Axioms encourage you NOT to diversify for small gains, but to look for the big potential winners and risk more. This does not mean you are being rash – far from it, you are simply risking more on the high odds trades and ignoring the ones that don't have good profit potential. Many traders simply trade to much but in FOREX trading you don't get paid for how much effort you put in – you get your reward for being RIGHT with your trading signals – PERIOD. So cut down the amount of trading signals you execute and only focus on the really good trades that have the best profit potential. The above philosophy is related to famous the 80 / 20 rule or Pareto principle. The rule states that 80% of your results come from 20% of your activities - and this is true in many areas of life in sales, business and trading FOREX. The rule postulates that by concentrating on the best investments, and ignoring the others, you can improve your profitability dramatically – by simply searching and acting on the 20% of “good trades” that yield the really big profits. By only focusing on this 20%, you will see bigger gains. This is really a common sense rule, yet very few FOREX traders know it or use it. Most FOREX traders are obsessed with trading to often, they think if their not in the market they will miss a move. Other traders try trading in ways that simply offer them no chance of success like FOREX day trading. I know traders that make triple digit annual gains and only trade once a month and I know other traders who trade all the time and lose. Keep in mind - the aim of FOREX trading is to make money nothing else matters, so don't trade often and when you trade the best opportunities and risk more. The major reason traders don't win is they are so frightened of risk; they actually create it and lose. Does this mean you should take unnecessary risks, or act in a rash and cavalier manner? No it doesn't - but to make big gains you have to take calculated risks when the time is right and a good trade presents itself. The Zurich Axioms show you how to confront risk in a positive way, manage it, and enjoy the challenge – the speculators who wrote the book enjoyed risk and the challenge of making money – If you don't enjoy the challenge of risk, then you will lose. Lets look at two of the Axiom's on risk which compliment the one above on diversification – which tells us why most traders lose. 1. “Worry is not a sickness but a sign of health...If you are not worried, you are not risking enough”. How often are you told only to risk what you can afford to lose in investing - when you know you should risk more? You then see the gains you could have made - but you didn't have the conviction to go for the trade and then you were left wondering about what might have been? 2. “Always play for meaningful stakes..if an amount is so small that its loss won't make any significant difference, then it isn't likely to bring any significant gains either”. If you don't risk much, you won't gain much as we have already stated. If however you load up the high odds trades then you will increase your profitability. If you have a sound FOREX Trading strategy you have confidence in then the above tips are common sense and will increase your FX profits. The major mistake most FOREX Traders make is they think that they can restrict the risk of FOREX trading to minimal levels and still win – this is simply not true. If you try and restrict risk to much by placing stops to close you will simply guarantee you will be stopped out by normal market volatility. It may look like it's less risky but its guaranteeing you will lose so it's actually very risky! Volatility and leverage creates both risk and opportunity in online currency trading, you need accept this risk and then spot the trades that offer the best odds of success and go for them. If you do, you will actually decrease your risk and increase your profits dramatically. If of course you don't like taking risks then you shouldn't trade currencies as you will lose.